Mike Bithell: "I Couldn't Write a Genderless Character"
Thomas Was Alone's creator on why his new game only has a male protagonist. One of the nice things about the diversity of the modern games industry is that a lot of independent creators, not beholden to specific publishers, are more than willing to talk openly about their creative and technical processes. Social media helps fans get closer than ever to their favorite developers -- and to engage in some interesting discussions. One such developer who enjoys openly discussing his thoughts is Mike Bithell, creator of Thomas Was Alone and the upcoming Volume. Bithell took to Twitter over the weekend to explain some of his creative decisions about his new game -- specifically, why it only had a male protagonist, and why there wasn't an equality-friendly "gender switch" to allow players to enjoy the game as a female character if they desired. "It's pretty cool that we're at a point in the gender conversation in games where I'm being challenged for choosing a male protagonist," he began, acknowledging that the decision had given some of his followers pause. "Short version: I wanted to tell a story about a specific kind of male hero, and I wanted to cast a specific actor. Both pretty good reasons." I reached out to Bithell to find out exactly what he meant by "a specific kind of male hero," but he declined to comment further, noting that further information about Volume's story and protagonist -- currently known only as "[redacted]" would emerge in October. He did, however, continue to engage in discussions with others on Twitter, which helped clarify his position somewhat. "I don't think gender toggles are good for a number of games," he explained. "You end up with agendered characters with swapped out voice actors -- which is fine if that's what you're exploring, but I'm not. I specifically want to explore male heroism. This'll make more sense later." When asked "why not just have two player models?" by Twitter user @theOneNallen, Bithell reiterated that he felt "toggles mean genderless characters, which is fine, but inappropriate here. Gender is vital and important to identity. I couldn't write a genderless character. 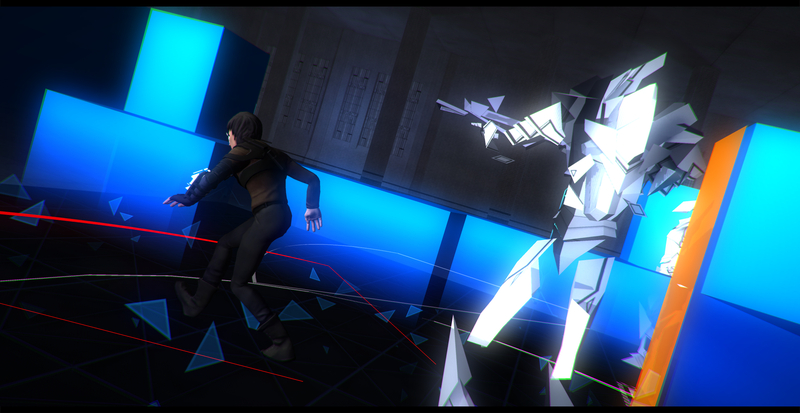 "Weirdly, [redacted] started female in my head, primarily because of the gender discussion," continued Bithell. "[He] became male for story/casting reasons later. I find the discussion fascinating, and will continue to engage on it. "I don't think the endgame is togglable main characters," he concluded. "I think it's more games in general, and more female stars specifically... and more races, sexualities, nationalities. That this debate about 12 months ago reset a lot of people's default character for a new game to female, we're only now starting to see the result -- and then we chat about how the privileged, white, straight, cis male folks like me can contribute meaningfully." Bithell's position is pretty clear: it doesn't make sense for him to include both male and female characters in his game from either a creative or a financial standpoint, and thus he is prioritizing his artistic vision for the protagonist over what we might call, for want of a better word, "inclusivity" -- though that's something of a loaded term. Volume's story is about male heroism, which doesn't necessarily mean that those who don't match the gender, race, sexuality or nationality of the protagonist can't appreciate it -- simply that this is the story Bithell has chosen to write and tell through his game. He's also made it abundantly clear that he's not at all against the prospect of games where you can choose to play as male or female characters -- it's just not appropriate for what he's trying to achieve with Volume. And what is that, exactly? We'll have to wait until next month to find out more. In the meantime, you can follow Bithell on Twitter and keep up to date on Volume's development via the official site. Tagged with gender,	mikebithell,	News,	thomaswasalone,	volume.